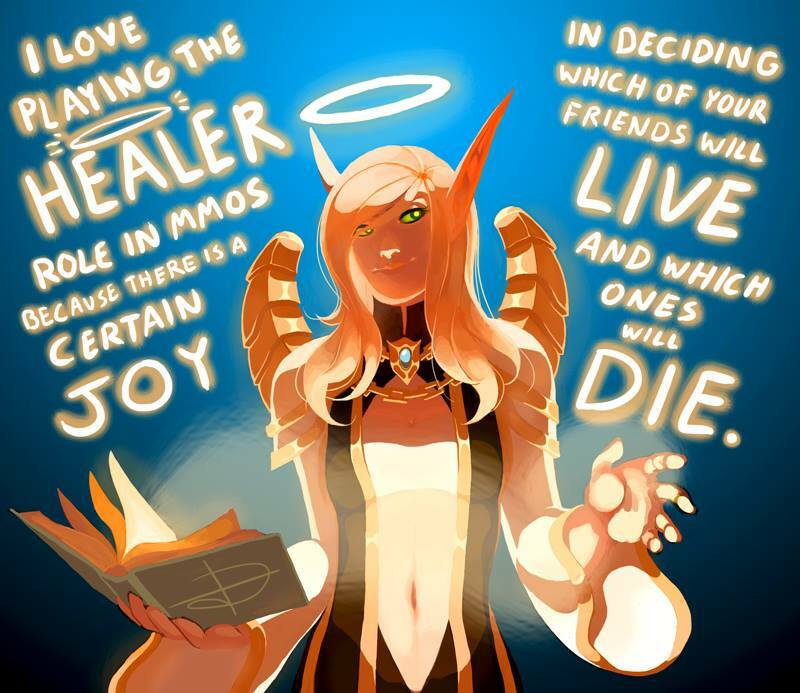 Master of World of Warcraft : As a healer, this image sums up how I feel perfectly! As a healer, this image sums up how I feel perfectly! And honestly, if someone's being rude to others or elitist, I tend to not rush to heal them as fast as others. I love healing, I have a resto sham/Druid a priest and next is a monk. The only thing I hate is being the first to get blamed for when things go south. That's why I love skada, I post damage taken by spell or whatever for backup. Except when I do mess up lol then I just shrug and say my cat jumped on my keyboard.